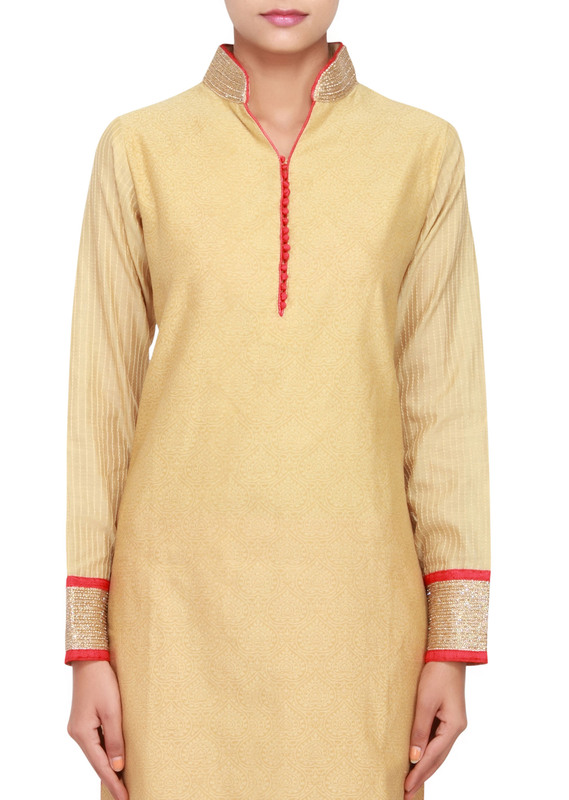 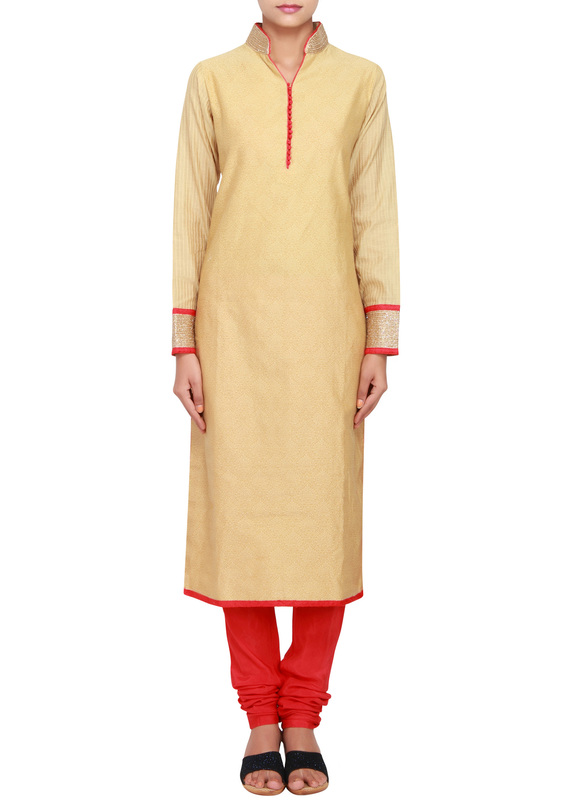 Featuring beige cotton straight fit suit embellished in kardana work. 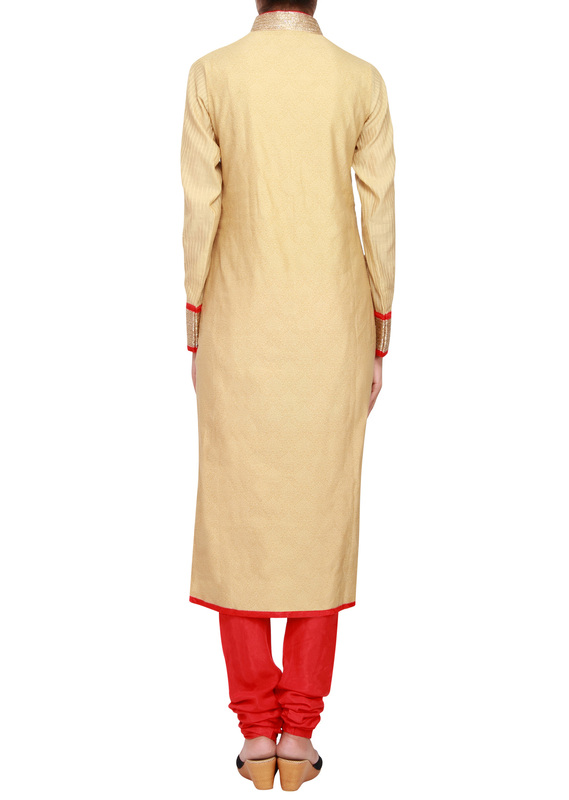 It has full sleeves with cuff in red and kardana embellishment. 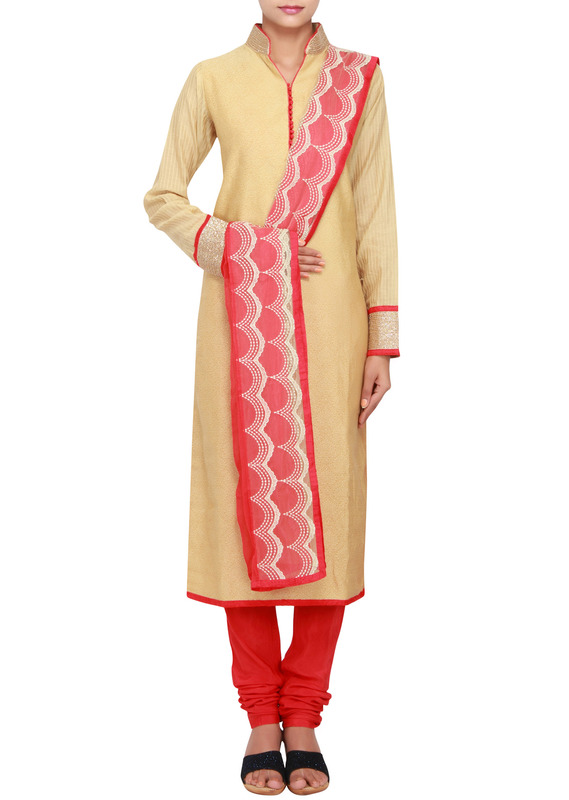 Neckline has opening and embellished collar with red piping. 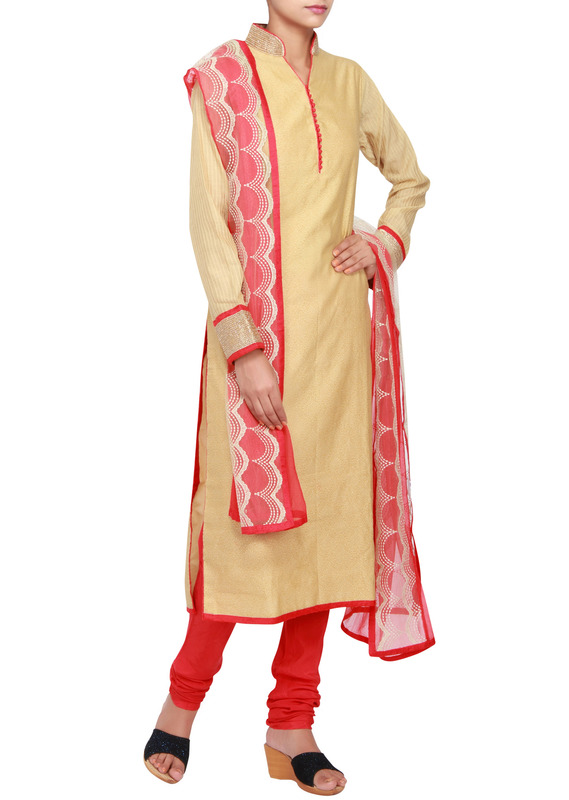 It comes with a cotton red churidaar and red and white chiffon and net dupatta.